Measure the stiffness, rigidity (resistance to bending) and resiliency of flexible materials from 0.004" to 0.219" thick. 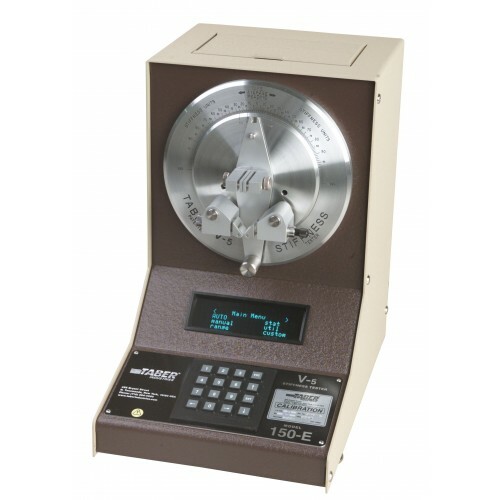 Automated version includes: onboard computer for data collection and calculations; 6mm jaw assembly; ratchet stop roller; calibration specimen 62; range weights (compensator Range, 0-10 units, 500 units, 1000 units, 2000 units); 115/230V, 50/60Hz. 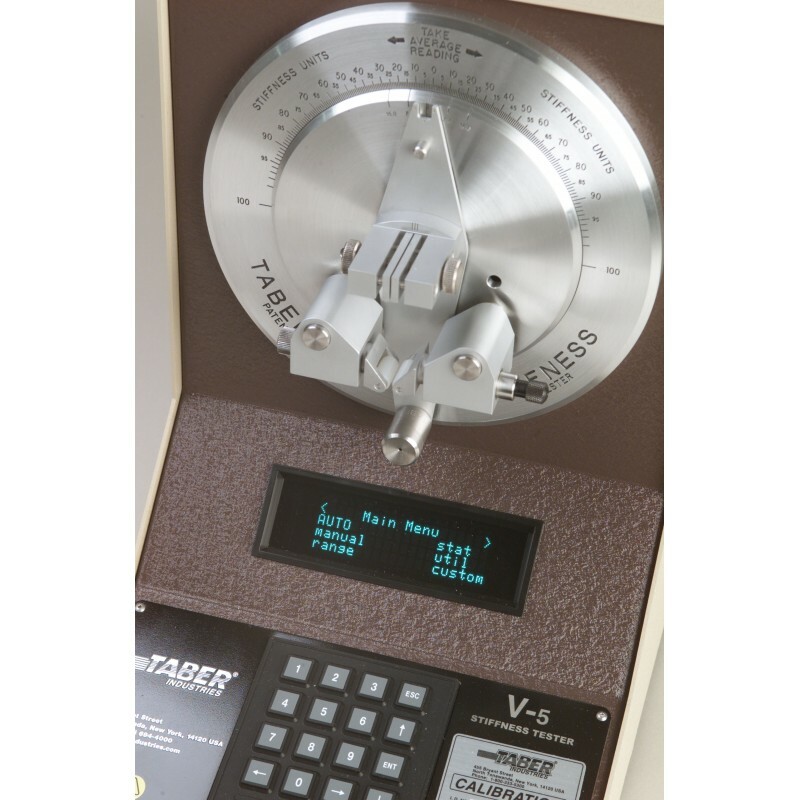 The Taber V-5 Stiffness Tester is used to evaluate stiffness and resiliency properties of materials up to 10,000 Taber Stiffness Units. This precision instrument provides accurate test measurement to ±1.0% for specimens 0.004" to 0.219" thickness. Materials include paper products, cardboard, plastics, metals, textiles, rubber, wire, tubing, felts and other sheet materials.